The engagement of NAFSO on blue economy related land activities was conducted at NAFSO on 7th October 2018. The Indian team Miss Sri dar, Miss.Kandimathi, Mr. Jesurathanam, Mr.John, Mr.Rajendran, Mr.Herman Kumara, Mr.Priyankara Costha, Mr.Anthoney Jesudasan, Mr.Nuwan Pradeep, Mr.Francis Rajan, Mr.Nalaka Rosairo, Ms.Deepa Subashine and Canada Team participated this meeting. Mr.Prayankara Costha and Francis Rajan Facilitated this event. 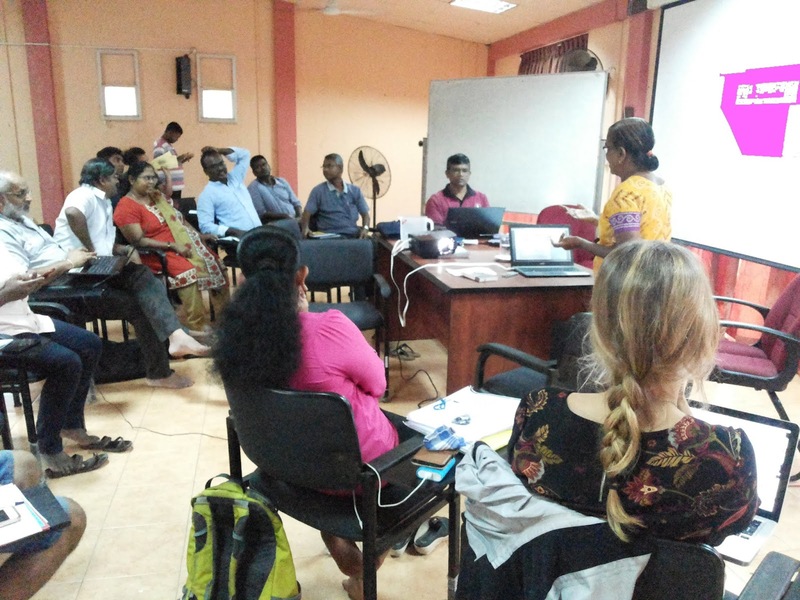 Development and Displacement of Costal Communities in Sri Lanka, of due to Militarization of Costal area were concerned in the discussion.